Download the Discussion Sheet to print it. The book explores the lives of two women at defining moments in adulthood. Do you identify more with Sylvia or Anne? Who would you want as your best friend? How are the decisions that Sylvia and Anne make shaped by the era they live in? How do you think each would do if they switched places in time? What do you think the police would have done if Sylvia turned herself in after shooting Ricardo? How would they react today? Do you think gender, race, and class would have played a role then? Would it now? Anne struggles with her career and yet, when she has the opportunity to show her work to a gallery owner, she takes off. Why does she flee the scene? Did you find this understandable or frustrating? 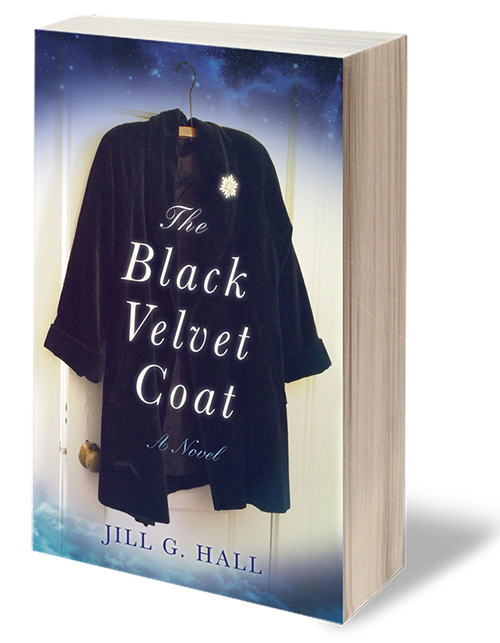 Do you believe that the key Anne finds in the black velvet coat pocket and the amulet Sylvia was given by Betty Lou have magical qualities? When Sylvia is with Betty Lou in Arizona, she tells her that it is her destiny to return to San Francisco. Do you believe in destiny? When Anne visits her friend and fellow artist Dorothea in New York, she finds a very different person than the one she once knew. Was it Dorothea’s success, environment, or drug use that caused such a drastic transformation in her personality? Have you ever had a friend like this? What are the main events that helped both Anne and Sylvia gain confidence and grow as characters throughout the story? What advice would you give Sylvia or Anne at the beginning, middle, and end of the story? The story included prophetic dreams. Do you believe dreams can foretell the future? Have you ever had a dream that became a reality? The book uses several cinematic elements. If you were to cast the movie, who do you think should play Anne and Sylvia? Who would play the supporting roles? 12. Do you shop at vintage stores? Do you ever wonder about who owned certain items and what their life was like?